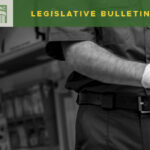 Several strategies to effectively manage the challenges local and statewide recycling programs are facing related to China’s “National Sword” Policy are front and center this legislative session. We’ve already discussed a couple of these proposals, including a ban on single-use plastic straws (SB 5077), a ban on certain types of single-use plastic shopping bags (HB 1205 and SSB 5323), and a plastic packaging stewardship program (HB 1204 and SSB 5397). Recently introduced was a food waste reduction proposal (SHB 1114), mandating the development of a plan by the state to divert food waste from the waste stream and implement strategies for food rescue. The bill also proposed that the plan include finding ways to make unwanted and/or unused food available to those in need. Some of the bills are beginning to move on to the next stage of the process. So far, SHB 1114 – Food Waste Reduction, SSB 5328 – Plastic Bags and SSB 5397 – Plastic Packaging Stewardship have been voted out of committee. 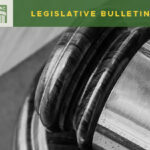 This bill proposes the creation of a stewardship program for paints and stains that would allow consumers to recycle most, if not all, architectural paints. It provides a significant benefit for counties as it would remove this contaminant from local solid waste streams. The stewardship program mandates participation by all manufacturers of architectural paints that sell/distribute in Washington. They must create a stewardship organization that must take responsibility for developing, implementing and operating the program. The bill also mandates an assessment fee applied to the cost of all paint sold to retailers and distributors which must also be added to the purchase of all paint sold in the state. 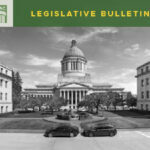 This bill includes no new requirements for or costs to counties. WSAC testified in support of the bill. 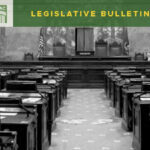 Proposed by the Washington Refuse and Recycling Association, this proposal would require the Department of Ecology (Ecology) to conduct a statewide, coordinated public outreach and education campaign for sustainable recycling practices developed by a stakeholder group. Counties are included in the stakeholder group. The bill would also create a statewide list of recyclables that would be allowed in all commingled recycling programs. Any item not on the list could not be included, nor could anything on a list of items specifically not allowed which is also included in the bill. A local program could amend the list, but not until 2024 for the items on the “not allowed” list and only under certain conditions and with approval from Ecology. All counties would have to update their comprehensive solid waste management plans by 1/1/2020 to comply with the new commingled lists. WSAC testified with concerns about the bill. We are in favor of certain provisions, including the outreach requirements and the standardized commingled list. However, we expressed needs for flexibility in amending the commingled program based on local circumstances, concerns over the SWMP update timing, and concerns related to costs for providing trash containers at recycling dropbox locations that are unsupervised.